Facebook Wants To Explore Blockchain Technology. Here’s What They Might Be Up To. What's Facebook's new blockchain team cooking up? We have a few ideas. Facebook is diving headfirst into the blockchain. Recode reports the social media giant is creating a team dedicated to blockchain, headed by former Messenger lead David Marcus, who also has experience at Coinbase and PayPal. Marcus later confirmed this shift in a Facebook post. But so far, no one is quite sure what that means what Facebook’s actually up to here. Are they making a cryptocurrency that will rival bitcoin, or are they just haphazardly adding blockchain to the laundry list of things they say they do, like that Long Island Iced Tea company did? 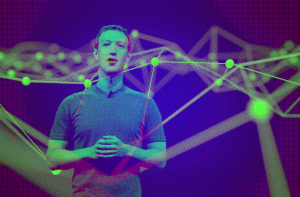 We rounded up the best (and a couple of the worst) predictions for what Facebook is up to. Facebook is getting ready for the day when blockchain is a crucial part of the internet. Facebook has done whatever it can to prevent people from using other services. It’s purchased dozens of other companies, either to acquire their IPs or to keep its audience from even having the choice to go elsewhere. Some of these include Instagram, Oculus VR, and WhatsApp (plus some other services you might not have heard of, such as a check-in service called Hot Potato). And whatever it can’t buy, it’s copied — from video chat apps to disappearing stories eerily similar to those offered by competitor Snapchat. If and when blockchain becomes integral to how we regularly use the internet (as blockchain evangelists may claim), Facebook will want to make sure it doesn’t get left behind a potential competitor. You can’t own the blockchain, but you can make sure your platform has a better grip on it than most. Facebook wants to make everyone’s data blockchain-level secure. The recent Cambridge Analytica scandal didn’t cause the mass exodus from the platform that some thought it might. But the public is still skeptical of Facebook and how it handles all of our private information. One of the big selling points for blockchain technology is that it decentralizes all of the information held on it, keeping it out of any one organization’s hands. Put these two things together: some people have speculated that a blockchain social network, or integrating blockchain into how Facebook stores our information, could make our data much more secure. But Facebook has all sorts of financial incentives to continue storing and selling data. It doesn’t make too much sense for the company to, you know, stop making Scrooge McDuck-levels of cash. Also, distributing your private information over a blockchain ledger means that the information goes to everyone else on the network instead of right to Facebook. Even with sophisticated encryption that keeps your data secure, it would essentially be out there forever. And if you delete your Facebook account, you still can’t retroactively scrub your data from the blockchain. OK, yes: Facebook could make its own cryptocurrency. Facebook has dabbled in digital currency — the company used to offer credits that turned its on-site apps into a sort of arcade. So maybe it hasn’t given up the ghost quite yet. Facebook could even end the charade of trying to create meaningful interactions and incentivize people to stay on the site by rewarding successful posts with a tiny chunk of cryptocurrency, as WIRED speculated. What seems like a more natural fit for Facebook, though: cryptocurrency trading integrated with Facebook’s growing marketplace. It could fold in trading features to its existing Facebook payments feature, which would immediately bring cryptocurrency to fingertips of a huge proportion of the world’s population. Heck, it might even get all our parents on the crypto train. This might not be all that likely — David Marcus is still involved with Coinbase (an easy-to-use platform for trading cryptocurrency), so it’s unlikely that Facebook would endeavor to make a competing product (or would it?). Ultimately, we don’t know exactly what Facebook is planning. But it’s clear that the company is taking blockchain very seriously, and it doesn’t want to get left behind by what might someday be a major technological wave. If nothing else, this newly formed team could reignite interest in the company, both from the disgruntled public and investors alike.